HOW TO DRESS LIKE… Salt-n-Pepa! The DivaGals were in for an incredible treat when we hit Oxygen’s Jersey Couture Pop-up Boutique VIP opening on New York City’s Lower East Side last week. 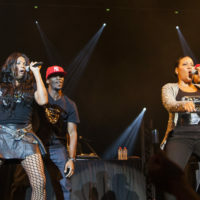 The main event was a performance by Salt-n-Pepa! The rap goddesses, Cheryl “Salt” Renee James and Sandra “Pepa” Denton, looked amazing on the series second season yellow carpet! The DivaGals knew we had to snag their fashion must-haves! For Salt, her got-to-have-it item is “a stretchy pencil skirt,” she declared as she worked a knee-length one in black. “They move with me and they go with everything. You get them in every color and you’ll be straight.” Pair it with a fitted top for your body shape for maximum effect. For Pepa, her choice item is “a great push-up bra. With rhinestones,” she said with a chuckle. Salt-n-Pepa both think every wardrobe has to have a great pair of boots. “What’s great these days with boots, you can go cheap to higher,” said Salt. 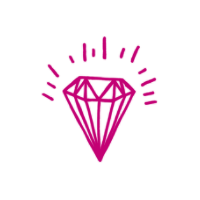 One of their favorite choices – and ours – are the Jessica Simpson collection. “I love her shoes,” Salt declared. So do we! To see more exclusive photos from Jersey Couture’s VIP opening visit our DivaGals Facebook page, and check out their Pop Up Boutique at 684 Broadway in New York City through Tuesday, Feb. 7. 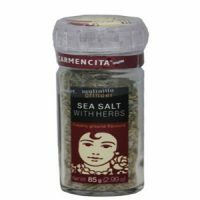 21 Gifts of Diva-licious Christmas: Gift 12 – Carmencita Sea Salt with Herbs! TV SHOW TO WATCH: Jersey Couture Season 2. Plus: Diane’s Gravity-Defying Bra! TV DivaGal Rates: Jersey Couture!